But I'll give it this, when Fallen Kingdom is pushing for pure dino-thrills it hits the jackpot. I won't get into spoilers but I will say that what the trailers and commercials have shown you is just the first act. The main story of the movie is nothing like what you have seen in the promotion. I give them credit for that cause that leaves you often sitting on the edge of your seat. 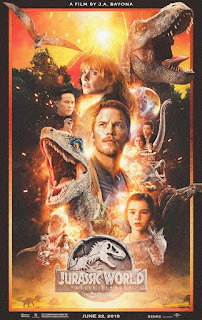 I did find the film rushed its plot and most of it was eye-rollingly silly, but if you treat it as fluff and let yourself get into it, Fallen Kingdom goes from 0 to 60 very quickly and becomes pretty no-holds-barred. The Jurassic movies have remained very family friendly so much of the thrills have always been fairly PG. A big part of Spielberg's genius in the first film was making it as exciting as it was while remaining safe for the kids. Fallen Kingdom is more brutal movie than we've seen in the franchise before. While the blood is still not there, the violence level is ratcheted up. Fallen Kingdom is of the "more is more" school of sequel making. More dinosaurs. More action. More intensity. Unfortunately the story that strings it together is often too silly to take seriously and there are far too many times when characters do the most ridiculous things. It's a turn your brain off sort of adventure story. I prefer my adventures stories to make me think more. This is not that. But despite myself I still had fun. Once the dino-action lets loose, and the film wastes no time getting there and then rarely lets up, if you do turn your brain off, you can have lots of fun. It will likely remain a guilty pleasure for me. 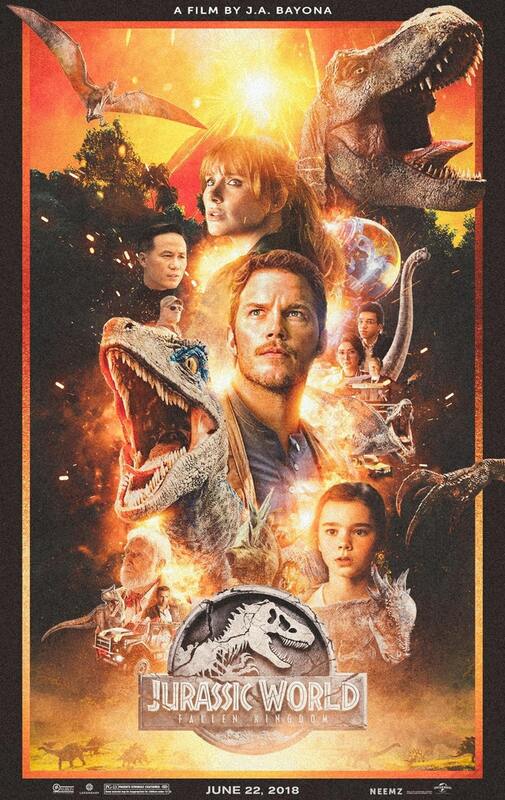 I will enjoy watching the dinosaurs fight but I'll always cringe at the dialogue, the story, and the lack of real characters. But the ending shows a lot of promise. The way the film ends is a big hint towards where I have always hoped this franchise will go. Perhaps the next Jurassic movie will be the one I've been waiting for.